On the ocean planet of Melefoni, the intrepid colonists of the Trailblazer have built a home amid the ruins of their fallen colony ship. The dwellers in the deep oceans below face ruin of their own as the shattered drive core poisons their homes in the pelagic depths, leading to all-out war above and below the sea against the invaders from beyond. New feats, spells, and gear to help you survive this war-torn water-world await, along with a detailed planetary gazetteer, adventure hooks, and a brand-new monster, the sonic warrior asquenti! The Legendary Worlds series brings you an amazing array of richly developed planets ripe for adventure no matter your game system of choice. From fantastic asteroid hives to burning foundry planets and from endless ocean worlds to dreamlands of mystery and magic, you’ll find fantastic opportunities for adventure for your heroes, with hooks to draw them in and delightfully detailed history, culture, geography, and some new surprises on every planet. 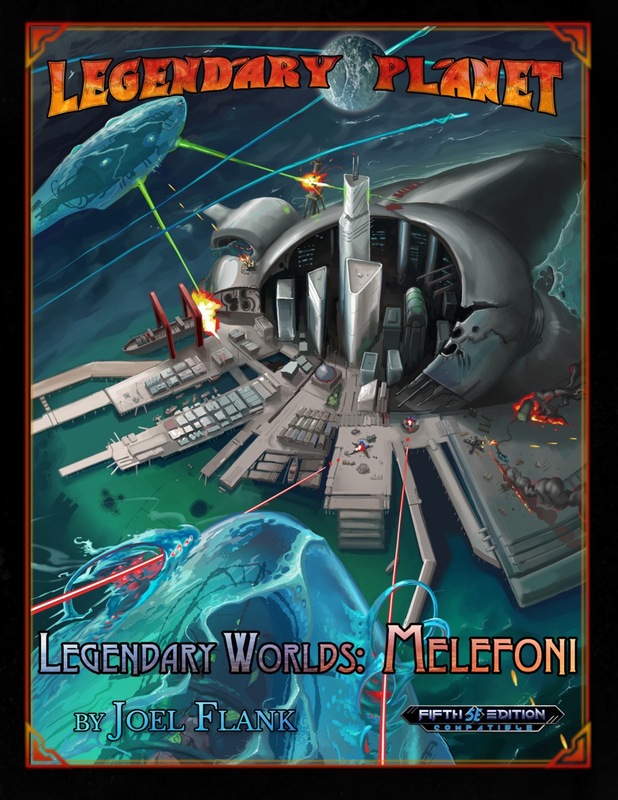 You can use these in conjunction with an ongoing adventure saga like the Legendary Planet Adventure Path from Legendary Games or with any sci-fi campaign that spans the spaceways. Never fear to let your players explore what lies beyond the next stargate or hyper-jump, because with Legendary Worlds there’s always a world of adventure waiting for them! Grab this 20-page 5th Edition accessory today and Make Your Game Legendary!